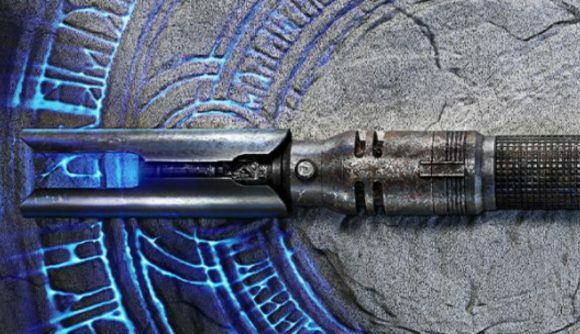 The release date for Star Wars Jedi: Fallen Order has been uncovered ahead of Respawn’s reveal event later today. The game will apparently launch November 15, about a month ahead of the premiere of Star Wars Episode IX: The Rise of Skywalker. Twitter games expert Nibel provided a photo of a piece of Fallen Order merchandise – it looks like the back of a pin. The packaging reads, “Available 11.15.19,” indicating the likely release date for the game – stores will often receive game-related swag early so it’s on hand when the launch date arrives. That’s corroborated by a listing on Amazon Italy for Jedi: Fallen Order, which also notes the release date as November 15. As far as release dates for a Star Wars-licensed game go, this one makes a lot of sense. The Mandalorian hits theatres November 12, and November is of course right in the major holiday launch window for the year. The one odd aspect is that November 15 falls on a Friday, although games have increasingly been ignoring the industry tradition of setting their launch dates on Tuesdays. The Amazon listing provides some details about the game, but not much we haven’t already heard: You’ll be playing as a young Padawan Jedi using Force powers and duelling with lightsabers in a single player-only narrative game. It’s all quite exciting, and we’ll be hearing more later today during EA’s Star Wars event, which kicks off at 14:30 Eastern (11:30 Pacific, 18:30 GMT). After that, it’s just a matter of waiting until November and replaying every Dark Forces and Jedi Knight title in eager anticipation.